On this day in 1992 Crayon (the band Jeff and I were in before Tullycraft) performed at Play It Again Records in Royal Oak, Michigan. This was the first time we had played outside of the Pacific Northwest. Prior to this show we had only performed in Bellingham, Olympia and Portland (we still hadn’t cracked Seattle yet). The owner of the Play It Again Records gave us $50 – which was very exciting! I don’t think we’d ever made that much money before. This was also the day we first met the amazing Pittsburgh band Wimp Factor 14 – featuring Gary Miklusek on drums. Crayon and Wimp Factor 14 spent the next two weeks playing shows together. Three years later, Gary, Jeff and I would form Tullycraft. If you are not familiar with Wimp Factor 14, you should be. They were a great band! Here are four songs from their only proper album, Ankle Deep. 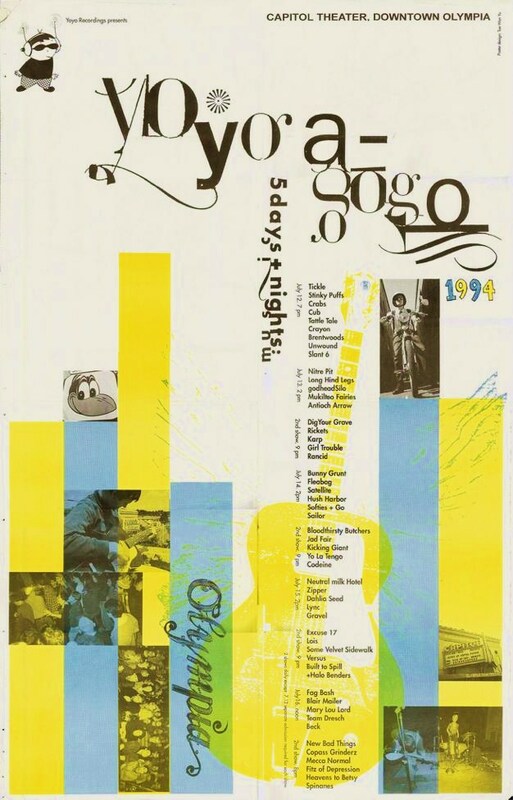 On this day in 1994 the Yoyo a Gogo festival began in Olympia, WA. Curated by Pat Maley, the festival featured five days of music by an incredible lineup of artists including: Beck, Jad Fair, Neutral Milk Hotel, The Halo Benders, Lois Maffeo, Some Velvet Sidewalk, Built to Spill, New Bad Things, The Softies, Rancid, Cub, The Crabs, Girl Trouble, Bunnygrunt, Yo La Tengo, The Spinanes, Mecca Normal, Crayon, Go Sailor, Heavens to Betsy, Unwound, Team Dresch, Kicking Giant and many more! It was totally punk and 100% independent – nothing like the corporate music festivals that pretend to be “punk” today. It was truly an amazing event. Here is a homemade video which includes some great footage of many of the bands at the festival. For some reason, this video features the terrible Jefferson Starship song, “We Built This City.” (Crayon appears briefly at the 2:38 mark). Enjoy! 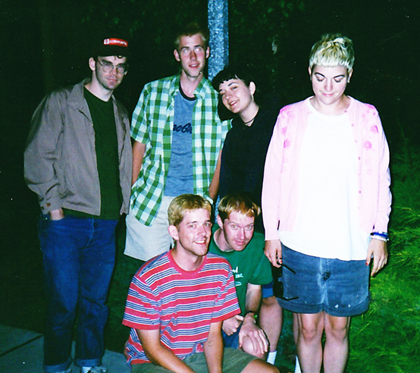 On this day in 1994 Crayon and The Softies were on tour together in Burlington, Vermont. While washing our clothes at a local Laundromat, we were greeted by an east coast rain storm. 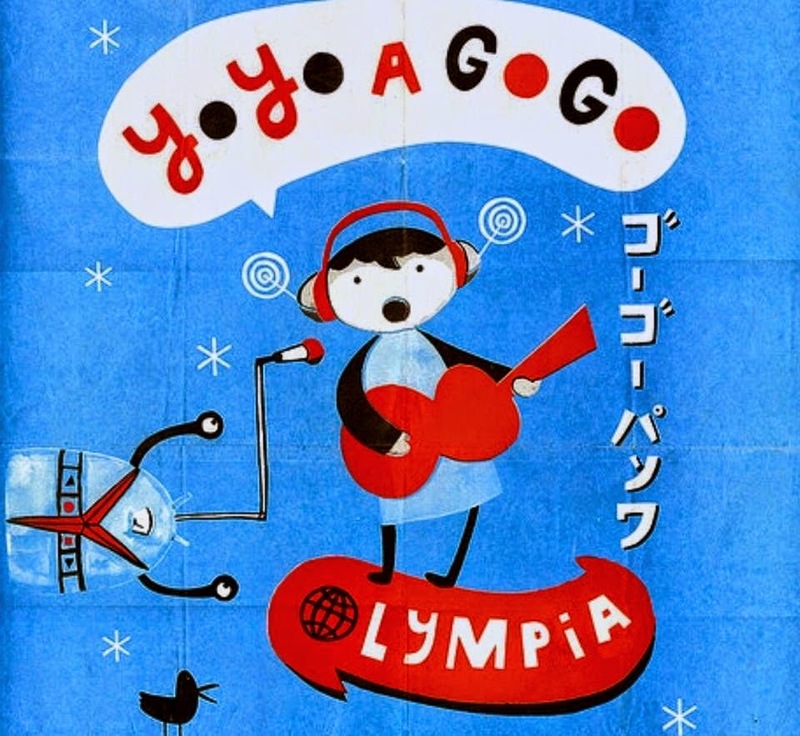 During this unusually heavy downpour, Rose and Jen (The Softies) took shelter in the Crayon tour van and wrote a song called “Empty Patches.” Here is a live recording of that song performed at the Yoyo-a-Gogo festival in Olympia a couple weeks later. Also, here is a live recording of Crayon performing “The Snap-Tight Wars” at the Burlington, Vermont show. 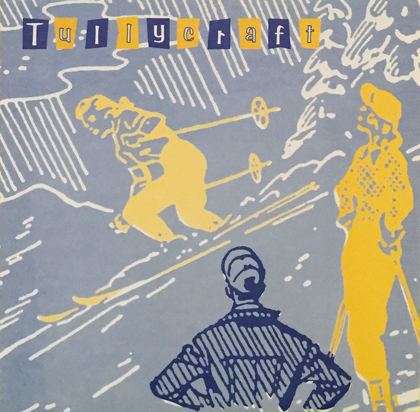 On this day in 1986 Madonna released her third studio album, “True Blue.” Nine years later, in 1995, Tullycraft would release their debut 7″ [“True Blue”] on Harriet Records. The song “True Blue” paid homage to Madonna’s “Like A Virgin.” As it turned out, college radio would play the B-side of this single much more than the A-side. The B-side featured the songs: “Skyway” and “Superboy & Supergirl” – staples of the Tullycraft live set for many years. 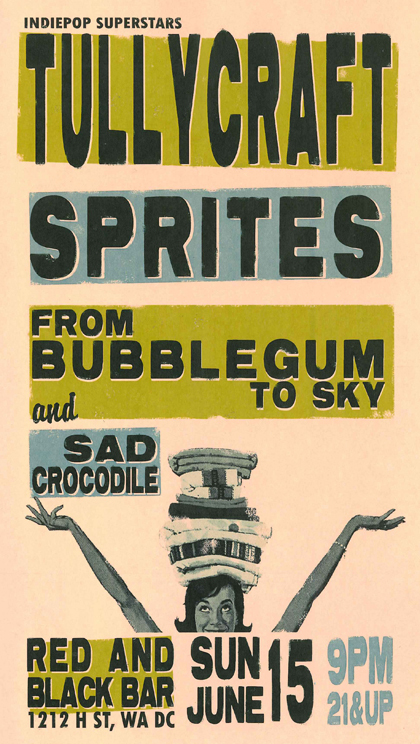 On June 15, 2008 Tullycraft played in Washington DC with the terrific bands: Sprites, From Bubblegum To Sky, and Sad Crocodile. On this day in 2007 Tullycraft started recording the album, Every Scene Needs A Center. 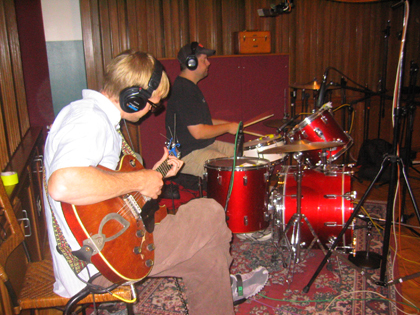 Initial tracking began at Soundhouse Studio with producer Kip Beelman. The first two days were spent almost entirely on drums. At one point, Jeff appeared to reach his limit when Kip asked him to play a song “again” – for what was probably the fifteenth time. Jeff responded by quietly setting down his drum sticks and simply walking out of the studio. I caught up with him down the street, and I eventually convinced him to return. Needless to say, the drums on this album sound great. Thanks Jeff! Earlier this year Magic Marker Records reissued Every Scene Needs A Center on limited edition vinyl. There are a few copies still available.